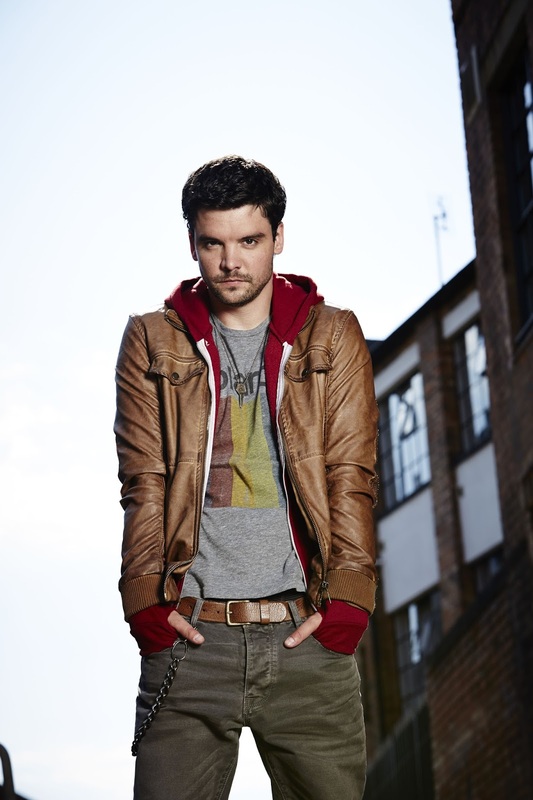 Sunday sees the start of a brand new BBC1 drama series from Tony Jordan. 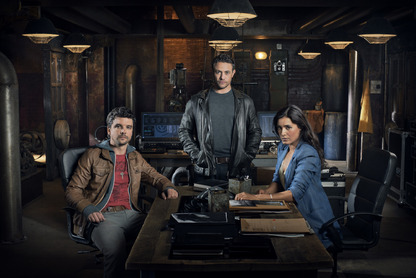 By Any Means focuses on a clandestine team who catch the criminals the police can't The series stars Warren Brown (Good Cop, Luther) Shelly Conn (Marchlands, Mistresses) and Andrew-Lee Potts (Primeval). As the cast filmed in Birmingham I spoke to them about what we can expect from the series and Andrew told me more about his character computer whiz Tom Tom. What can you tell us about Tom Tom? Well he's the criminal of the team. He probably thinks he's the best computer hacker in the UK and he takes it very seriously, but also he's very anti-authoritarian. This is the perfect job for him because he gets to break the rules and get away with it. How does he get on with the rest of the team? He's the sarky kid in the group but he's also very intelligent in what he does so he plays a major part in the team. What do we learn about him as the series develops? He keeps his cards very close to his chest. He's done really well for himself. I wear a key around my neck but you never really know why. He does respect Jack who's kind of the leader of the team. Jack's very straight down the line. There's mutual respect for everyone. What were the biggest challenges of the series? Well we all play different people at certain points and in episode two I play a Ukrainian to make someone believe I'm somebody else. It's good because it's a show that reinvents itself every week. How much of a challenge is the sort of acting within acting side of things? Well I started playing the Ukrainian character before I'd played Tom Tom. In fact on the first day we were all really playing other people so yes it is a challenge, but it's also really interesting and cool. Do you think the comparisons to Hustle are fair? It's Tony Jordan and there are always going to be comparisons. If you were a fan of Hustle you'll probably like this. I think we're a little more serious because we're dealing with life or death situations. We're quite gritty and rough around the edges. Who are the team employed by? So there isn't anything the team wouldn't do to catch their man? It appears that way. You're going to be shocked by how far we do go. And there's pretty much nothing they wouldn't do for each other aswell. Have you enjoyed working with the guest stars? We've had some great guests. They've all had their own fully developed characters. Keith Allen was fantastic and Neil Maskell too. What do you enjoy on the TV? I love Breaking Bad and ensemble pieces like Prison Break. By Any Means starts Sunday 22nd September at 9.00pm on BBC ONE.